PATRIOTIC Front (PF) parliamentary candidate for Kabwata constituency Given Lubinda says he is not shaken by gimmicks used by his opponents to campaign against him. He was speaking in an interview with the Daily Nation when he refuted allegations by Independent candidate Clement Tembo that the Minister of Agriculture had illegally sold plots to foreigners at Chilenje market. Mr. Lubinda said such accusations were malicious and aimed at denting his image, especially that he was the only one among the contestants for the seat in next month’s general elections who was receiving massive support from the electorate. He said he was not moved by the accusations, saying that the people of Kabwata were not dull to easily believe such lies. “People are now crying for sympathy because they have realised that whatever messages they try to give to the people are not being accepted. The people are not willing to follow them, so they have become extremely desperate such that they are now trying to accuse me of all sorts of things thinking that people would turn their backs against me, but sorry they have it wrong. “There is no way that I could sell plots, the people that are making these allegations have made similar allegations in the past and they have been proven to be liars. But I have been through this before, I am not moved at all and I can assure you that even before August 11, the cowards will come up with even more lies because they have failed to sell themselves,” Mr. Lubinda said. He urged Kabwata residents not to take such statements seriously, stressing that some politicians had nothing to say except to lie. He urged his opponents to campaign on issues as making up lies would not make them win the seat. “The majority of people in Kabwata know that I am beyond that; have you ever heard my name being scandalised or associated with any criminality?’’ he asked. 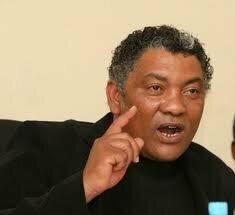 Meanwhile, Mr. Lubinda has vowed to make sure that Mr. Tembo paid the price for accusing him falsely. “I am too clean to be dented by a small little coward. I shall teach him politics to an extent that he will be running away from his own shadow. Let him ask those who have competed against me, he will regret what he has done. I shall make sure that he never ever dares stand for political office again,” he said.